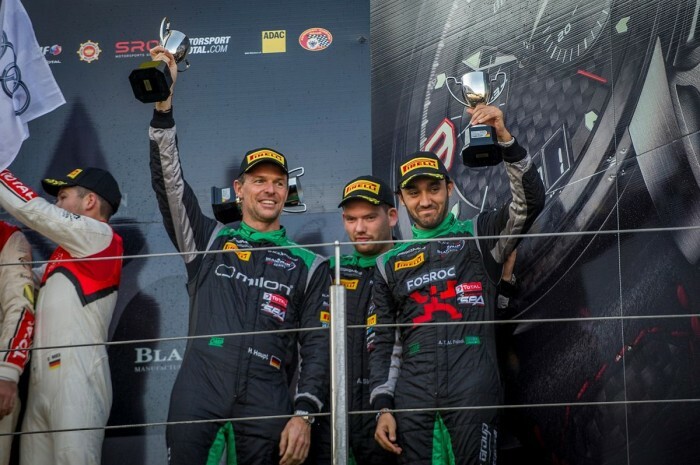 Team Black Falcon ended the Blancpain Endurance Series on a high when the team scored two podiums at the final round of the season in the Nürburgring this past weekend. 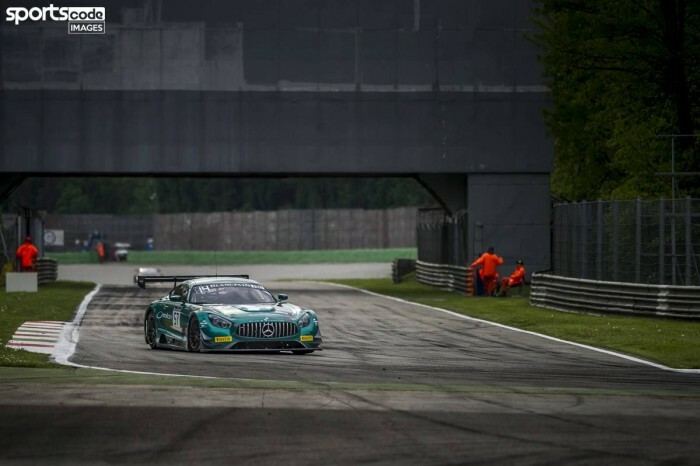 The German team had mounted a strong assault this season, fighting with the front runners in the #19 Black Falcon Mercedes of Abdulaziz Turki AlFaisal, Hubert Haupt and Andreas Simonsen in both the 3 Hours of Paul Ricard and the Total 24 Hours of Spa, but were unfortunate not to have scored a top result. However, the team was adamant to secure a better result and a podium finish at its home circuit in Germany during the final round. Officially named “iRacing.com Nürburgring 1000 km”, the race was held on the 5.1-kilometer “GP-Strecke” or Grand Prix circuit that features a combination of low- and medium-speed corners, and as the name suggests, it came to an end after 1000 kilometers of racing. Team Black Falcon’s #19 car qualified in 17th position on Saturday, while its sister #18 Mercedes, shared between Vladimir Lunkin, Devon Modell and Anders Fjordbach settled for 31st, but positions were of little significance as heavy rain had disrupted the session and more rain was forecast the following day. Indeed, Sunday’s race kicked off under extreme wet weather conditions and the team took advantage of the situation to climb all the way up to P6 with the #19 Mercedes after only 1 hour of racing, while the #18 car moved to P21, even though they had to take a drive through penalty for an early infringement. Black Falcon’s #19 machine moved into the lead of the race with almost 2 hours to go as the #18 similarly made striking progress and was up into the top 10. 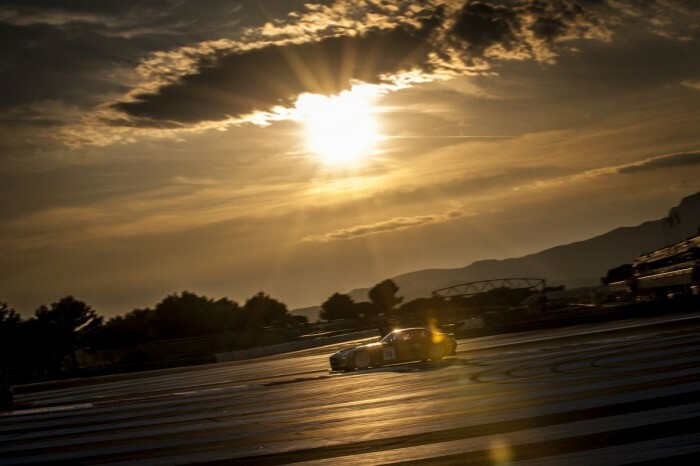 The #18 SLS AMG GT3 continued to climb the table, ultimately moving into 6th place overall while #19 fought hard to hold back the lead Audi, but eventually succumbed to third place in the final standings after a tough battle. 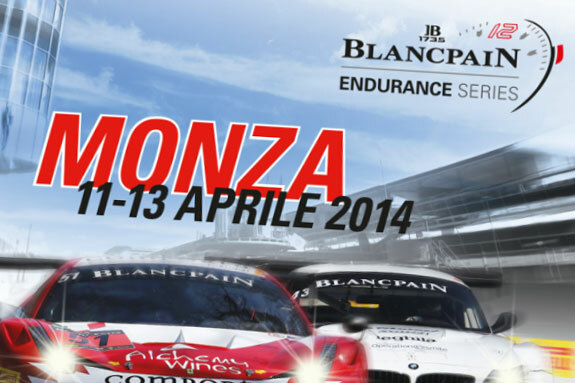 The #19 Mercedes’ third position overall gave Black Falcon its first podium of the 2014 Blancpain Endurance Series and its best result of the season, while the #18 car’s P6 overall was in fact a second position in the GT3 Pro Am class, thus handing the team a superb double podium finish in what was a thrilling and exhausting season finale.